In the mobile age, there is nothing that your prospects crave more than visual stunning, creative, engaging content. A great way to engage with customers is not only with social media but also with pictures. A picture is worth a thousands words (or likes). What do you want your pictures to say about your brand? A great site your small business should be interacting with customers on is Instagram. If you don’t have an Instagram profile you are missing the opportunity to show people what your brand is all about. Just over three months ago, Instagram announced they were going go create online profile, making it easier for companies to add more photos to your profile, and since then Instagram has continuously been adding new features. Learn how you can make the most out of your Instagram page. Just like any content you would put on your site make sure it’s fresh, interactive, and aligned with the image you want your brand to have. It wouldn’t make sense for a bakery to have images of someone surfing on the beach or a picture of a steak, they don’t fit with the products and services your company provides. Remember to regularly update your Instagram, what Instagram followers are going to engage or follow your feed if you’re not constantly adding new content. Think about all of the photos that are out their on Instagram, how many of them are actually taken by companies? Probably a small percentage, consumers and users on Instagram upload somewhere up to 40 million photos a day! Wouldn’t you want to find a way to get users involved? Users enjoy taking photos of brands and companies they love. Find a way to get them involved in your content creation. Instagram also developed an Instagram badge making it easy for your consumers and website visitors to easily access your Instagram page. Did you know that compelling images on your Instagram page could actually drive more traffic to your website? Instead of just posting a photo, use that photo to grab the attention of your viewer and direct them to your website where you can create an deeper engagement with your visitors. Posting photos that capture attention and generate excitement. When posting a photo on Instagram, include links to articles or photo galleries in the comment and share to other social networks. Add hashtags or location tags to your photos. Everyone loves a good story! So why not tell a story with the images your putting up for your Instagram followers. Create different image galleries where you can showcase images from particular events or campaigns. Let your brand tell a story. I hope these brands will provide you with the inspiration to develop an Instagram profile that captures the attention of your customers and users of Instagram. Is there a brand that I missed, what brands do you feel are effectively utilizing Instagram? 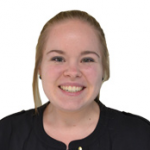 About the Author >> Carolyn started at IMPACT as an intern before graduating from Elmira College with a Bachelors degree in Business Administration with specializations in both Marketing and Management in 2012. As a marketing manager; she is continuously producing content about nurturing leads, how to effectively interact and engage with fans on social media and how to implement a successful inbound marketing campaign.